Indigo Perfume Marbella offers you an exclusive service that allows you to create your luxury perfume. A beautiful experience that allows your tastes and desires to be fully expressed. 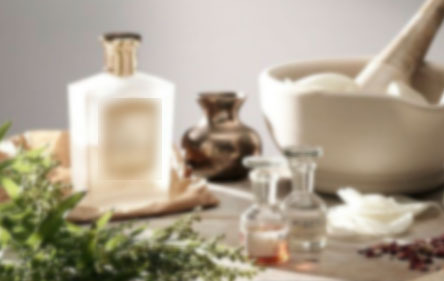 You will get the opportunity to smell many different ingredients, to discover your very own scent tapestry. Indigo Perfume Marbella will then create your very own bespoke perfume; as individual as your fingerprint! The finished order is yours, and will never be replicated. We keep the ingredients in our archive, should you wish to repeat order. Due to large demand, it usually takes up to 6 months to fully develop your personal perfume. We give you 2 sample bottles, so you can narrow your scent down even further. Once you have decided on which scent to have, we will blend a 50ml bottle for you, with the name you have chosen, and bespoke artwork for the bottle and packaging. You will also receive Marion´s personal sketches of the blending process, showing you exactly how your perfume evolved. Private consultations for our bespoke service are held at our perfume studio situated in the beautiful town of Marbella-Spain. The finished perfume is yours and yours alone. The formula will never be used for anyone else and will remain in our archives to allow you to reorder your perfume time and time again. Please use this contact form for further information. © 2019 Indigo Perfume Marbella. All Rights Reserved.